PHCA: Your Future is ‘Virtually’ NOW. Visit Horst Construction at The Lancaster County Convention Center from September 27-29, 2016. If you are considering renovating or expanding your facility, now is a great time to get to know the experts at Horst at the PHCA Annual Convention and Trade Show. We focus on both design-build and capital improvement projects that require quality workmanship, efficient project management, and timely completion from a trusted partner. Our Special Services team has experience working in occupied facilities where sensitivity to the needs of residents, minimal disruptions, and maintaining a safe environment are paramount. You can rely on Horst to work around your turnover needs in a timely and cost-effective manner. 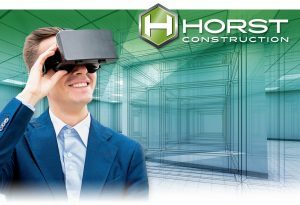 If you plan on attending the conference, stop by booth #428 on September 27-28 and enter a chance to win a set of Virtual Reality goggles. Experience the future and meet Ryan Null, Beth Mack, Scott Burkholder, and Harry Scheid. For over 120 years, Horst Construction has been synonymous with integrity, quality, and collaboration. We listen first, and then build what matters to you. We work as a team to ensure your goals are achieved…beyond your expectations. Horst services for exceptional senior living environments include: Preconstruction Planning & Budgeting, Cost Management, Project Management, and Construction.